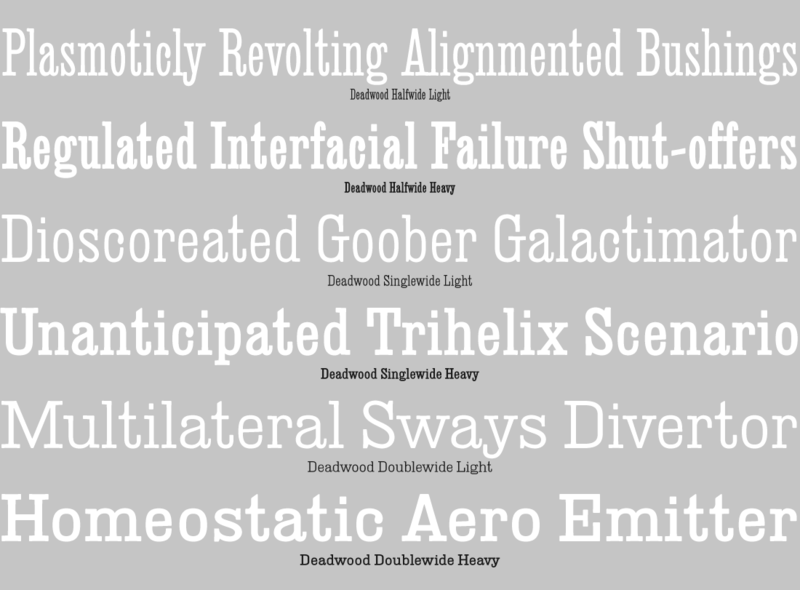 Deadwood is a six-font celebration of the vintage 19th century American Egyptian. It’s style naming (doublewide, single wide, etc. ), meanwhile, is a celebration of the trailer-homes since sprouted where prairie schooners once traversed.